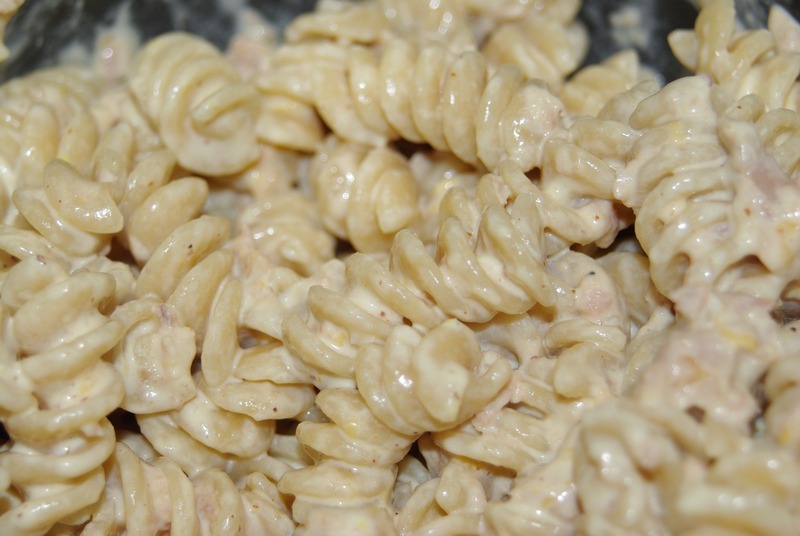 Made the above tuna pasta salad with very few ingredients. After preparing noodles, mixed the dressing ingredients of heating the water, vinegar and sugar to dissolve, then adding the mayo and mustards with season salt to taste. After thoroughly mixing add however much tuna or other seafood you desire. I never salt the water for cooking noodles to keep my sodium level down.